Here is what I finally had to settle for after my crackles wouldn't crackle or they were too faint to show up on the basecoat. If it was black, it would like like tire tracks. Oh! 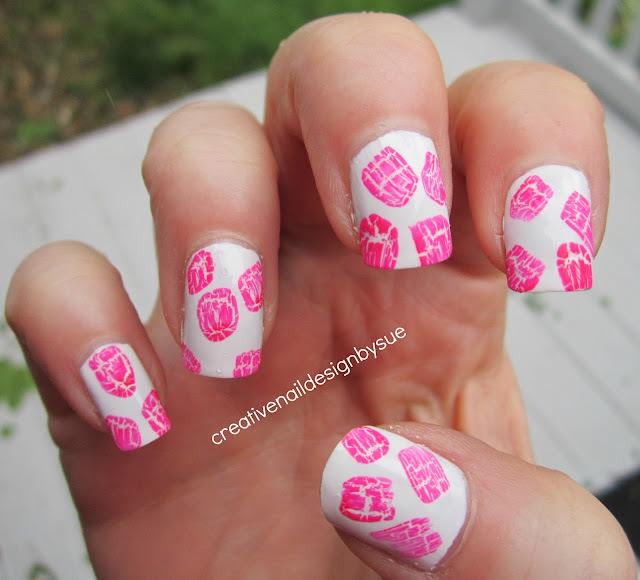 I love your mani and both of Veronica's! I'll need to try something like this! I love Veronica's blog! Usually I just drool and think how one day maybe I will be brave enough to attempt these things. I am liking these with just the pink! very cool and pretty! :D i love it! from far away they look like roses! Very cool looking! I'd love to see this in black! 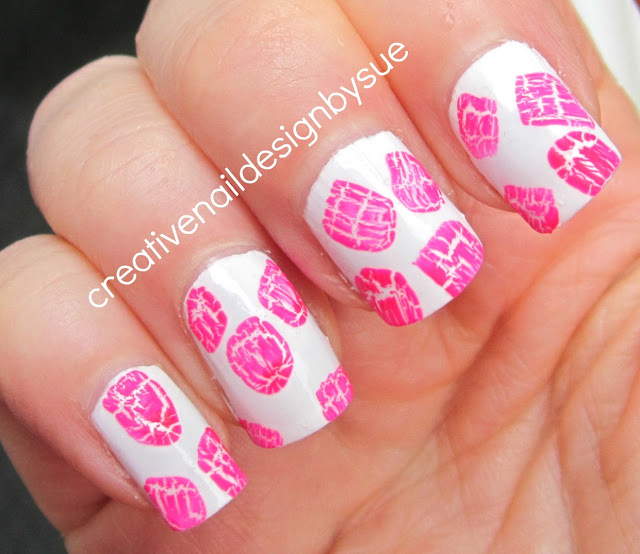 Usually I'm not crazy about crackle anymore but I do love seeing it being used in different ways! Very nice use of the crackle. As I am not a fan of the overall crackle look, I can see some possibilities for it...my mind is now flooding with ideas!